If the video have any of these privacy symbols ,, then we can proceed with the next steps. If the video have privacy icon then please use video downloader. A page will open full of HTML code. 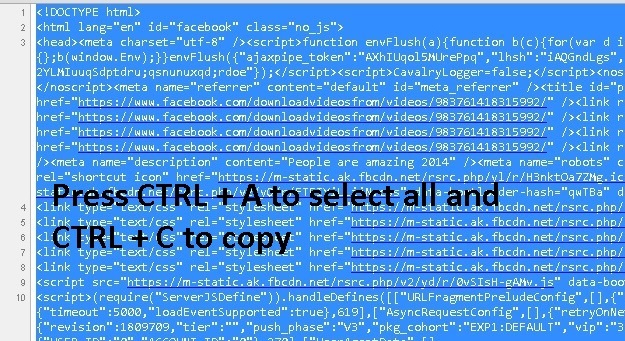 Press CTRL + A to select all the code, then CTRL + C to copy it. 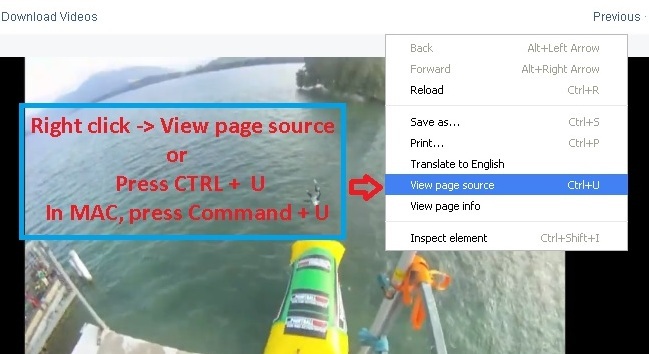 A download page will open containing download link of the video with a video preview which you can use to watch the video before downloading it. Videos are provided in MP4 formats and may available in two resolutions i.e. HD (high-definition) and SD (standard-definition). Click on the Download MP4 button to start the video download. To play video in your computer, you may need to install video player. You may try VLC player, which is a freeware.